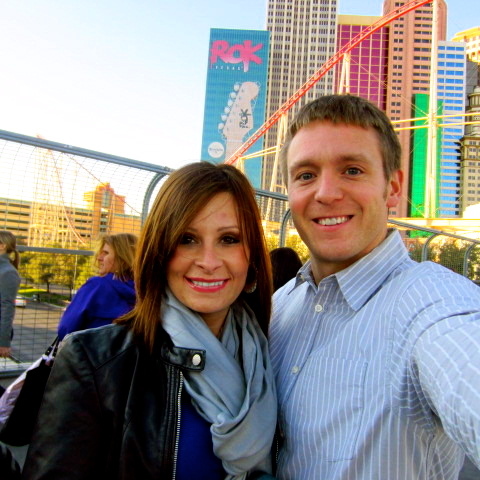 Ryan and I had been to Las Vegas two years before this and loved it so much. When I mentioned doing this race, Ryan took no convincing. We both took two personal days from work and I signed up for the night race. I had ran a marathon a month and a half before and tried to maintain some sort of fitness over the days between. 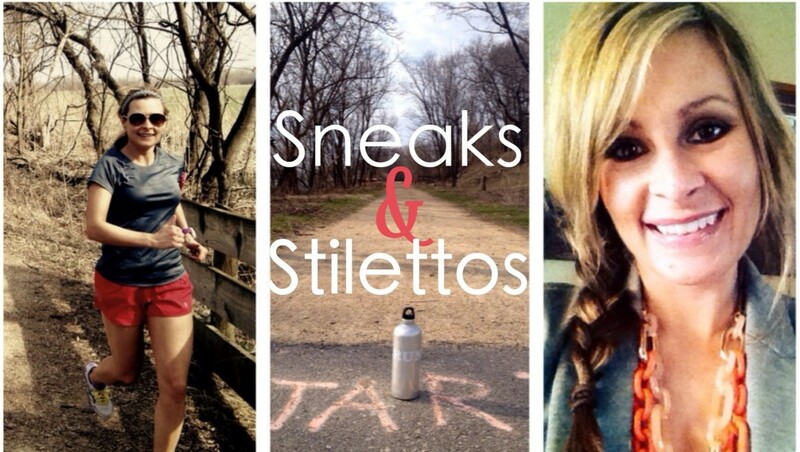 The hard part was I wasn’t in shape for the first marathon, but I did my best with my schedule. My first draft of my master’s research paper was due a month and a half after this race, so my research had to be my top priority. We flew out on a Saturday morning and were in Vegas by noon. We boarded a shuttle that took us to the Luxor, our hotel. The host hotel was Mandalay Bay which was connected to the Luxor. We then walked to MGM and took the tram to packet pickup. Packet pickup was fun, the shirts were good, they had awesome discounts to get into clubs for going out, and I bought my first Sweaty Bands. Since I was going to wear them tomorrow night in Vegas they had to be glitzy and sparkly! 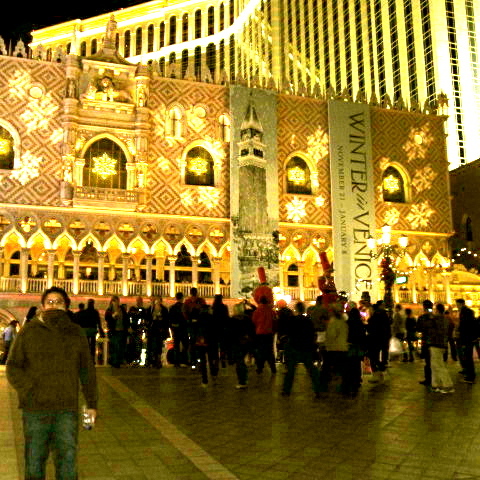 The weather was cool, but not cold in Vegas. Warmer than being in winter Wisconsin and perfect for running. It was weird to know I had a race the next day, but that I wouldn’t have to get up early for it. With a 4:00 pm start, I wasn’t sure exactly how to eat, plan, prepare. 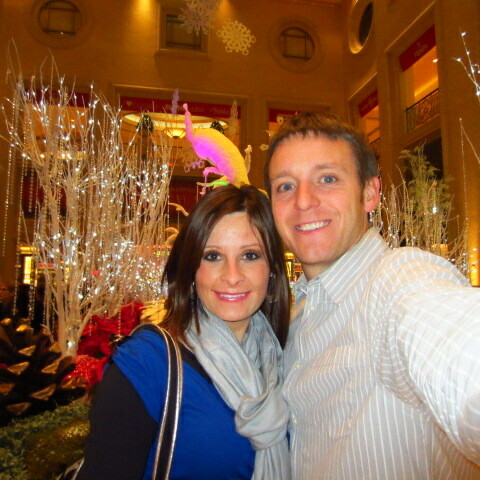 We spent the evening walking around Vegas, doing some gambling, and taking in the sites of Christmas all around sin city. I love exploring cities at Christmas. We had been to Vegas just after Christmas last time and saw some of the sites, but it was even more beautiful to see before the holidays. 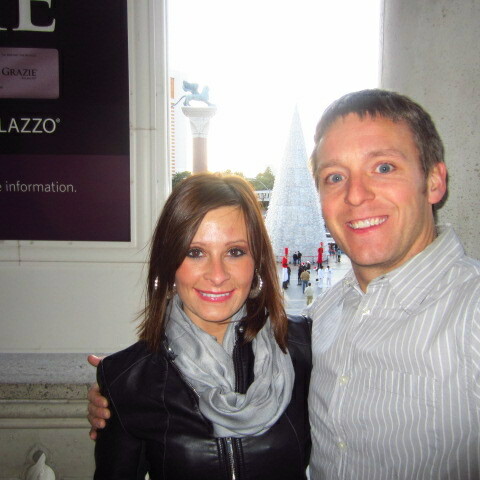 We explored near the Palazzo, walked the “canals” of Venice, and enjoyed the poinsettias and fountains of the Bellagio before going out for dinner on the strip. We also saw the Stiletto Dash. I had wanted to sign up for this, but could not bear the thought of twisting an ankle the night before a marathon. so I went back to bed after I snapped this picture! Later that day we spent a fair amount of time watching sports in Mandalay Bay’s bar and sports book. The Packers were playing which we loved watching in the betting atmosphere. I couldn’t believe how many Packer fans were in Vegas! I ate a bigger breakfast and lunch since the race was at 4:00 and I didn’t expect to be done until around 8:00. Before we knew it it was time to head back to our room so I could get changed and ready to go. I had laid my clothes out earlier that morning so all I would have to do was change. 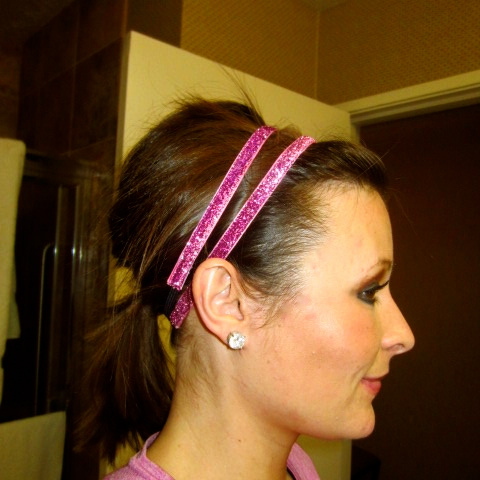 I got all ready to go and we headed for our walk through the Luxor and Mandalay Bay. By this time it was very crowded with thousands of people trying to get outside. We should have just walked outside, it would have been less crowded, but then we would have missed this photo op. Is was right after this photo that I realized I was missing something. Something I could NOT run without…my iPod! How could I have forgotten this essential running item? I was so mad at myself. We raced to retrace our steps, get back to our room, get the iPod, and fight our way back through the crowds. Somehow I managed to get to the start, way in the back, but not late. I worked my way up through the corrals and was off. and homeless people cheering us to stop and have a beer with them. This made me laugh, therefore, providing entertainment for those early not so scenic miles. We did go by some residential areas which was in stark contrast to the city lights of the Vegas strip. The second half of the marathon was the half marathon route. 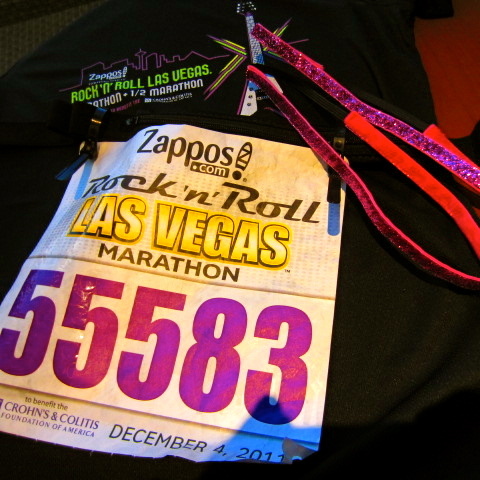 I was so excited to run down the strip and back. I didn’t realize we would be running right into half marathoners moving at a 3 hour pace though. It made me very irritated to have to run around half marathoners run/walking and slowly jogging. I was glad they were out there, but for runners who have already been running for two hours, it made the race even more mentally and physically tiring. The lights of the Luxor, MGM, Excalibur, Paris, and Planet Hollywood did wonders for the spirit. The next thing I know Good Feeling by Florida comes on my iPod and the energy from the strip gets to me; I’m on cloud nine and running on a high. To this day whenever I hear that song I am instantly taken back to those miles running on the strip, that song pumping in my head and energy of the city pushing me along. About to have a Good Feelin’! Around mile 19 the area we were running in didn’t look so good, and the road was sooo crowded. I was really getting frustrated. I was running on the curb, on the road, weaving, on the median, just trying to get around people. Someone also said people went the wrong way and were off the course. I don’t have a time for the chip time spot at mile 23 on my final results. I’m guessing we did go off course at some point. The course opened up again on the strip and I was so looking forward to being done. My Garmin said I ran more than 26 miles, but who knows. I do know the congestion throughout the second half led to my slowest marathon time yet! Loving the energy of sin city! Ryan said this was his favorite race because he could cheer for me with a beer in his hand, head back into the casino and gamble, come out with his drink, cheer, go back inside, repeat. We ran by Mandalay Bay several times at the start, at the half way point, and at the end. He didn’t mind racing in Vegas a bit. I did love this race despite the crowds and hearing of some people not getting help they needed at the end. Out on the old strip. Obviously the race directors have some work to do, which they admitted the next day. When a race grows fast, big changes need to be made, too. I did enjoy this course and would give the directors another chance to show improvements. The next time I’ll have a much better idea of what to expect in terms of pros-crowd support, big city energy, unique course, destination race and the cons-crowds, not a PR course if congested, poorly marked in area. 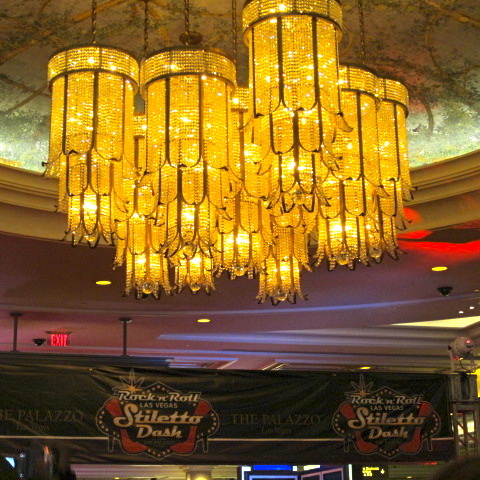 Overall, the race was an awesome experience because really where else can you go to a post-race party like in Las Vegas?